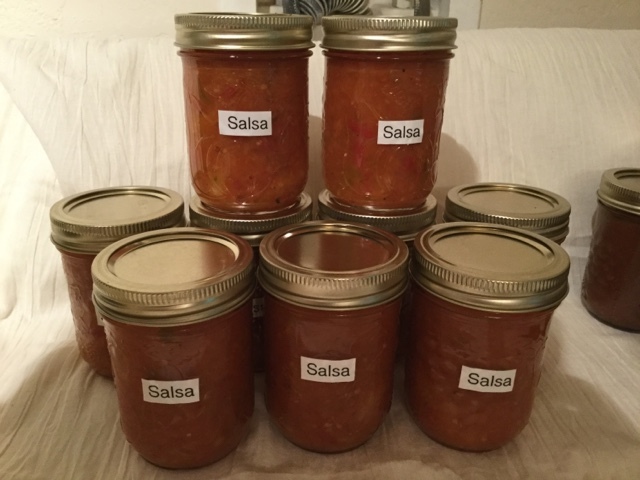 I've been canning so just wanted to share the results. 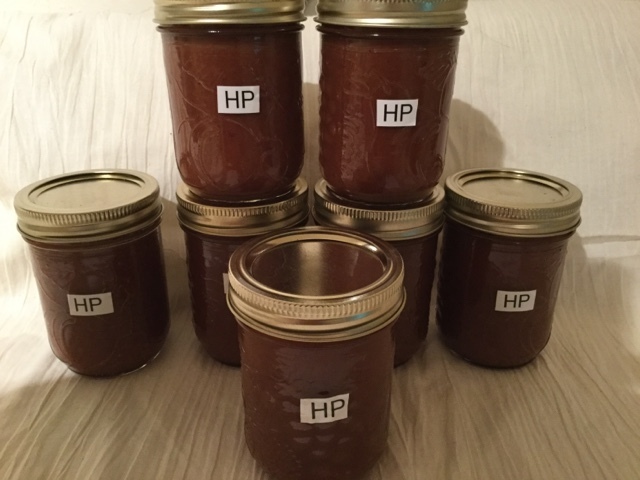 First up, HP sauce, with added dates cos I like it fruity style ! 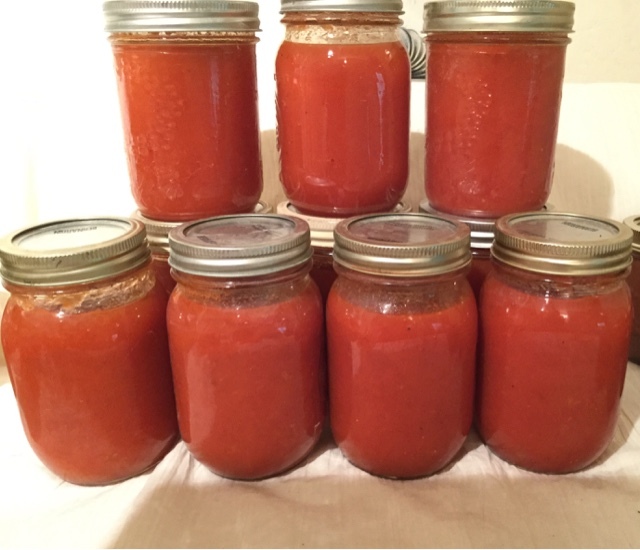 And last but not least Tomato sauce. 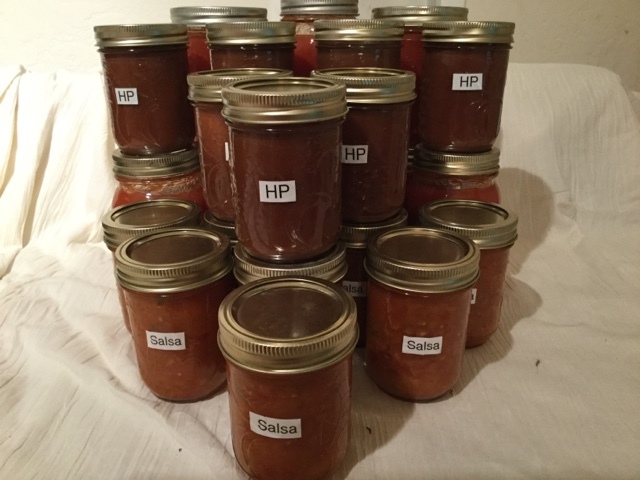 And one last shot with all the jars together ! ..... we'll just need some food to go with them. We've really been looking forward to trying out our new little Combi-Camp trailer whose name is Mighty Mouse. 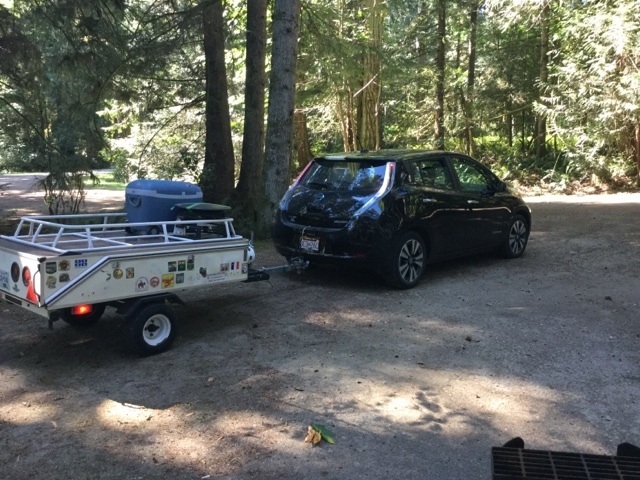 We tow it with our 2013 Nissan Leaf. 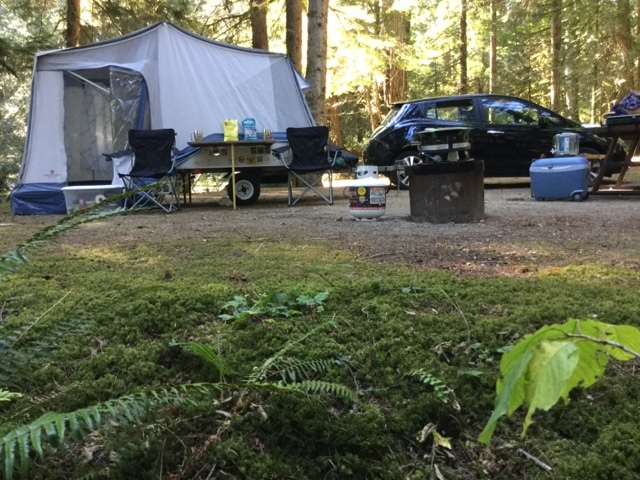 We decided not to go far from home, first trip, so Saltery Bay was the perfect choice, only 19km to the campground. 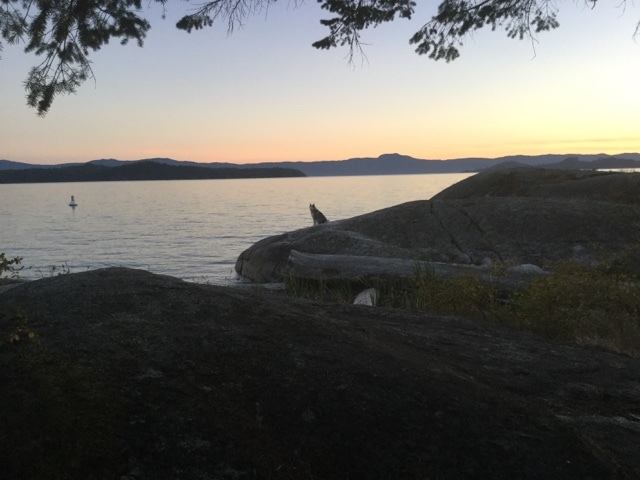 We are so lucky in Powell River to have so many great places to camp. And .... Ta da ! Only minutes later we're all set up. No campfires allowed at the moment, so we brought along our propane "campfire" and we got an electric cooler which works great and that we could plug in if there were hookups. It's pretty rustic here, so not this weekend ! 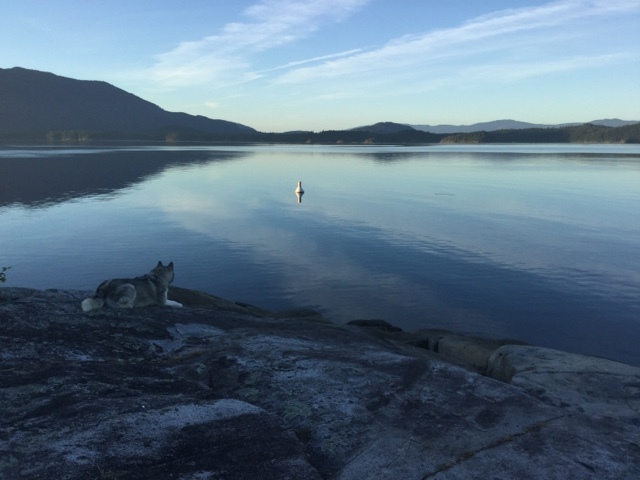 At sundown, with Fleur barking at the buoy that marks the sunken mermaid statue for scuba divers, not sure why she does it, but she always does. We left quite early in the morning in time to let the sheep out ! 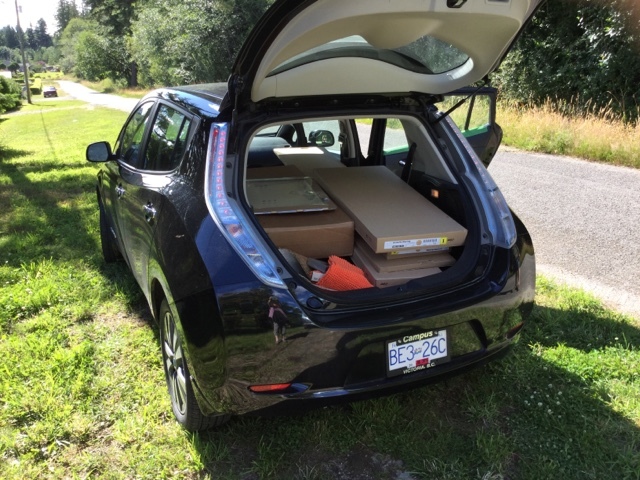 It was a very easy trip to make for the Leaf. No range anxiety at all. Towing the trailer took 18% of the capacity as compared to 15% without. Simon installed LEDs instead of the stock lights on the trailer, hope that will cut down on energy use. We're really looking forward to going further afield next time. 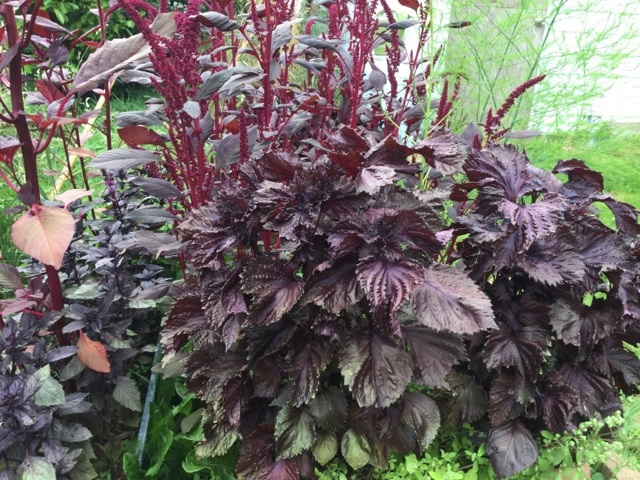 the plant, Red Perilla that I grew from seed this year. I had no idea if it would give colour but the name intrigued me so I thought I would try it. I grow it in my "purple bed" which looks like this. Also have Purple Basil and Burgundy Amaranth in there. I wasn't very scientific I'm afraid. 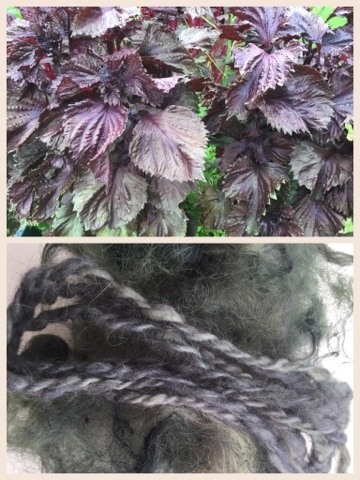 I cut a generous portion of the Perilla tops and heated them in a pan with some rainwater. 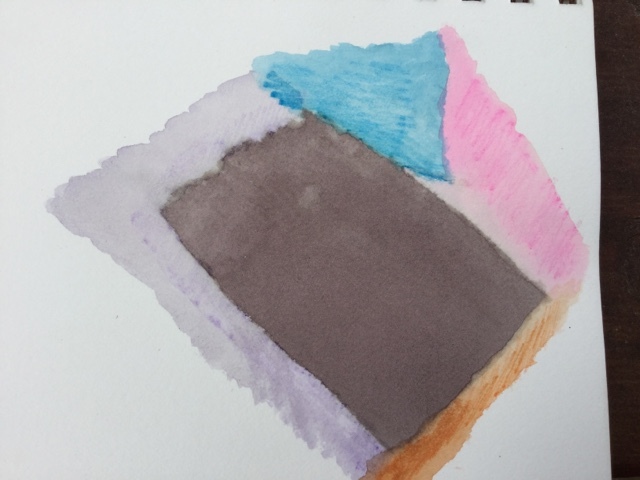 I was trying for some pigment to paint with and got a good purple stock. I took some and boiled it down to get a more intense colour. That didn't work very well as I think too much heat changed the colour. This was what it looked like. (The large patch in the middle). 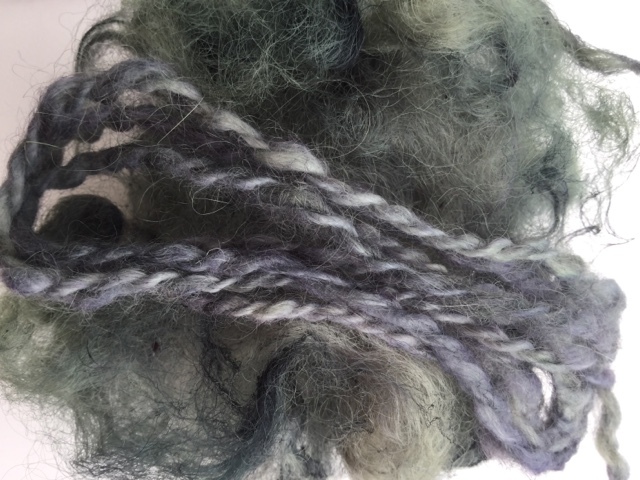 I put some alum mordanted wool into the remainder and got this blueish, purples colour. That was a bit of a surprise ! Not sure yet how lightfast or colourfast it is but it was fun to try it out ! On Saturday Holly (the Leaf) and I headed to the Lower Mainland on a jaunt to Ikea to pickup the items we needed for a bathroom reno we are going to start soon. I was a bit worried how the day would pan out with the 2 ferries and charging as well. As it turned out, it went flawlessly. 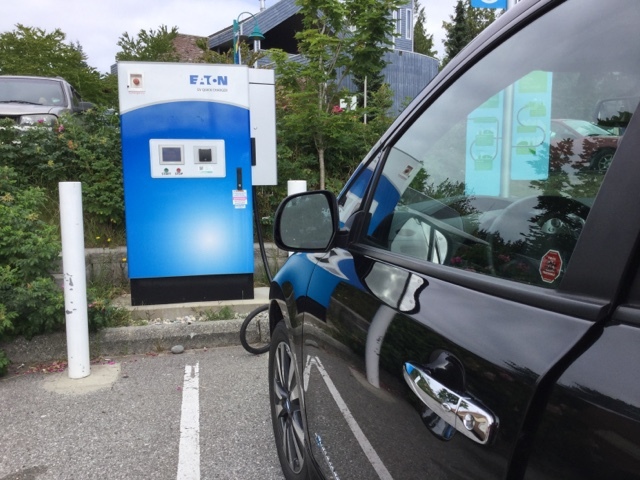 Here we are charging at the level 3 quick charger in Sechelt. It is very conveniently located and I used the Greenlots fob to start the charger. It only took about 30 minutes, time for a coffee at the mall, and off we went to the next ferry. 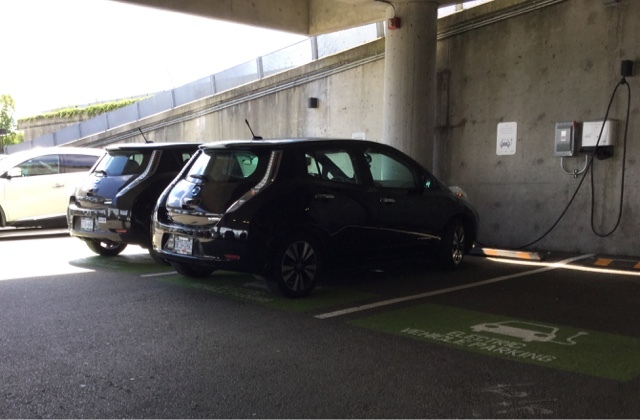 We had plenty of range to get to Ikea in Coquitlam where they have complementary charging. Here we are, a pair of black Leafs charging up. I got all the stuff we needed, topped up and back to Horseshoe Bay for the return trip. 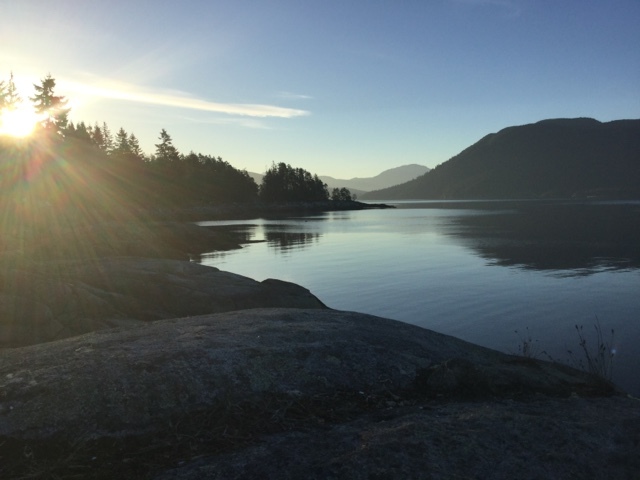 I stopped again in Sechelt to make sure I had plenty of juice for the rest of the journey. Only 20 minutes this time and still made it in time for the 7.40 ferry. The journey up and down the coast was really fun in the car. It handles so well and you can really use the regenerative braking to its full advantage on that twisty up-and-down road. Air conditioning on and the Bluetooth tunes blasting, I had a great trip. 283 kilometres altogether. The fast charging capability is a real game changer for electric cars travelling on the coast and contending with the ferries. Good to know you can do the lower mainland trip in a day with ease. I will be a lot more confident next time. One last shot of Holly the delivery truck. As always, totally up for the task. After an embarrassingly long absence, I'm baaaack ! 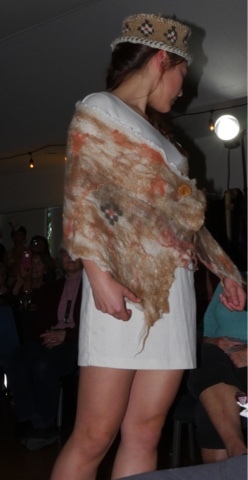 I've been wanting to write a post about my entry into the 2016 eCouture Wearable Art Fashion Show since April, so here goes, better late than never. 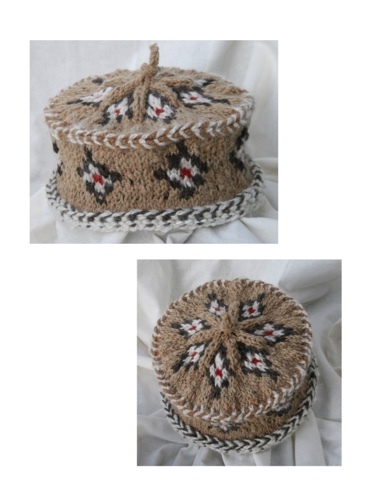 This was the hat that I made, based on a beautiful design from one of the First Nations baskets that I love at the Powell River Historical Museum. 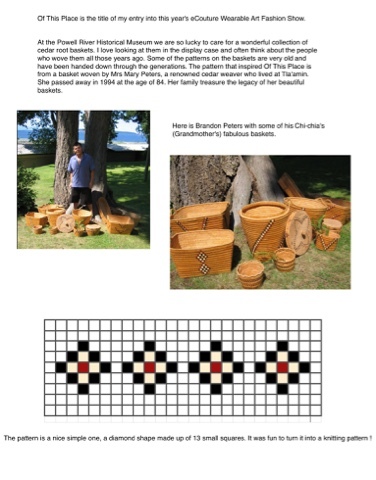 I wanted to pay tribute to and honour the long tradition of making the baskets, as well as the women whose hands skilfully wove them.The original basket was woven by Mary Peters, a renowned cedar weaver from Tla'amin. What I didn't explain here was that two days before the event I didn't have a model for the hat and wrap. It was getting a little desperate I must say, but, sometimes, things just happen as though they were meant to be. My friend Brandon contacted me, who is the original weaver's grandson. 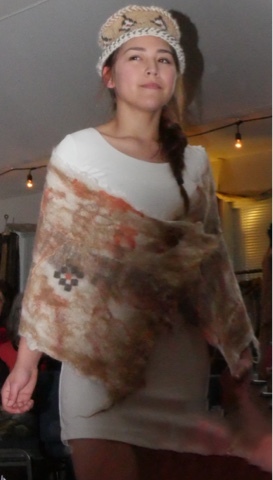 He said that his niece Mala would model Of This Place at the show for me. I can't tell you how special this was and how grateful and honoured I am to Mala and the Peters Family for making this happen. 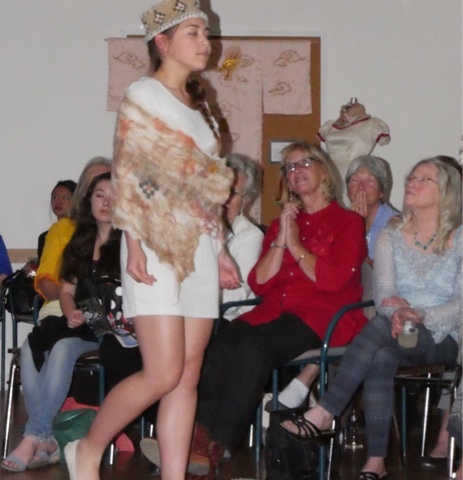 When she bravely stepped out onto the catwalk I had a few tears, I must confess. And this is how beautiful she looked. We only got these few pictures of her, for which I will forever be sad, but it was a fabulous event which will remain with me as a very special memory. Thank you Mala ! This is one of the things I did today. 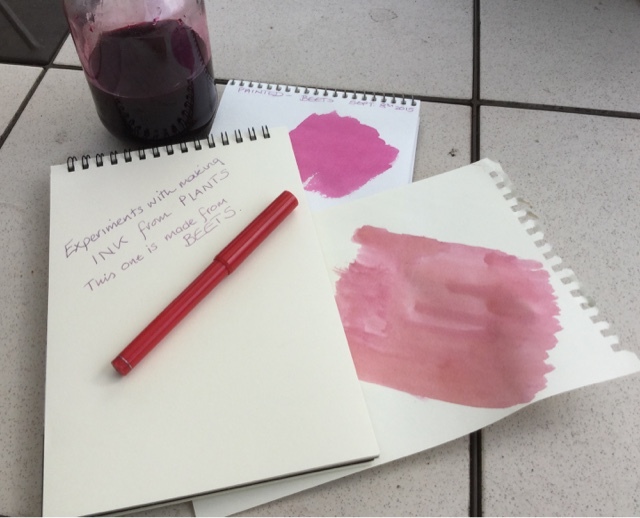 I have wanted to try making ink or paint for a little while now and today was the day to make a start ! I used beets that I cooked and strained. I added vinegar to try and prevent mould. I would use white vinegar next time and cook the beets in it rather than adding it later..... Oh well, trial and error ! I'm planning on trying black walnuts next. Banana, strawberries and pineapple zipped up in the blender and frozen. 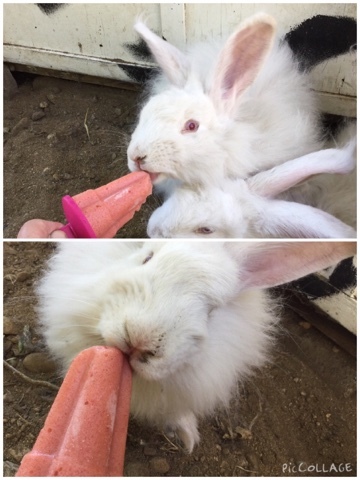 The boys love them. We live at Periwinkle Farm in beautiful Powell River,on the coast of British Columbia, Canada. 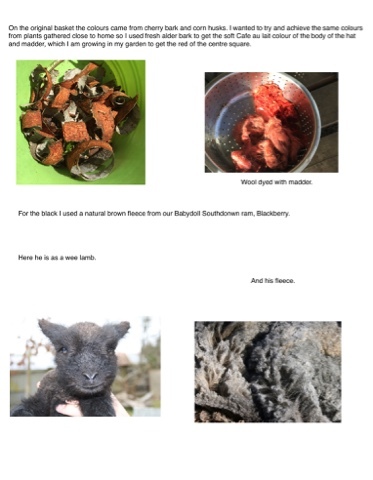 We breed Babydoll Southdown sheep on our small acreage. They are such fun to be shepherds to! We also mill organic flours which we take to our local market. One of my consuming passions is FIBRE of all kinds and colours. 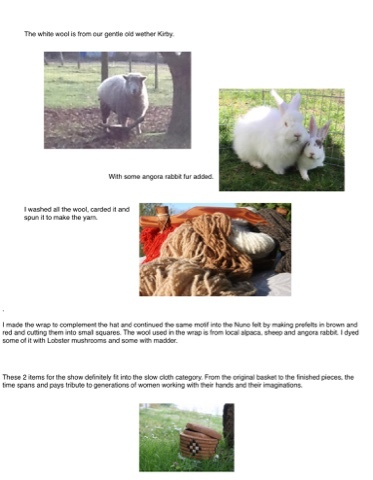 I spin and weave and particularly enjoy working with our sheep wool and angora rabbit fibre. 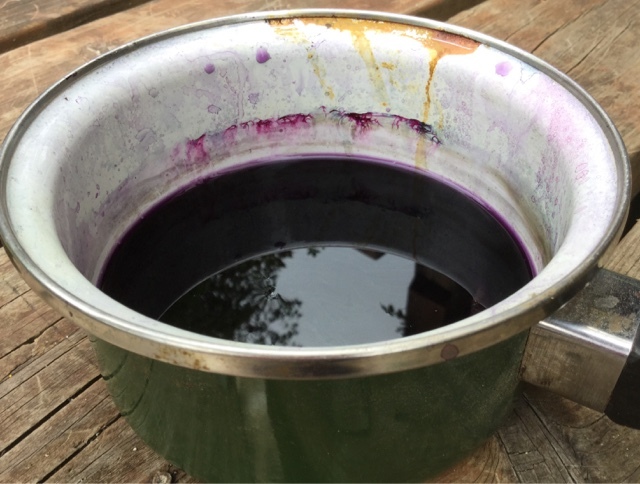 I love to use natural dyes and I have an expanding dye garden to grow some of the amazing plants that give us colour.